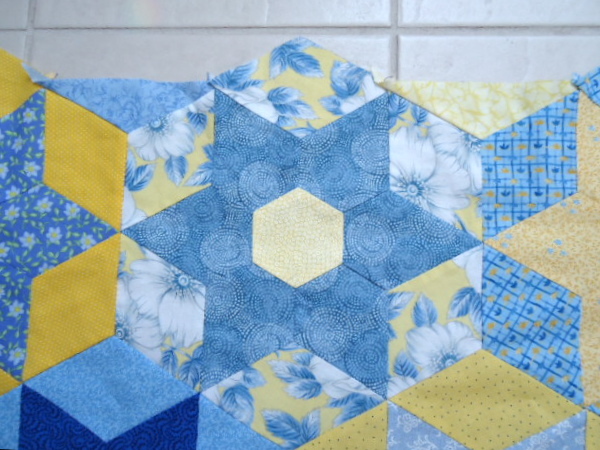 I am not partial to irregular edges on bed quilts so my first thought for straightening the two sides of Cielo Azul was to add large half triangles. True to form (will I never learn), I cut them all before I decided to baste a couple to see what it really looked like. 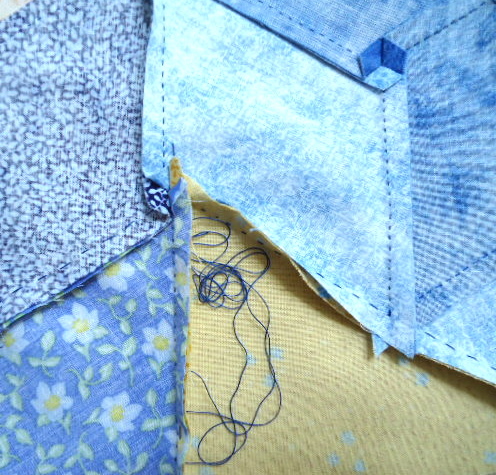 The rest of the quilt was a pressing dream with all seam intersections making either a 3 or 6-fabric twirl for a nice flat finish. 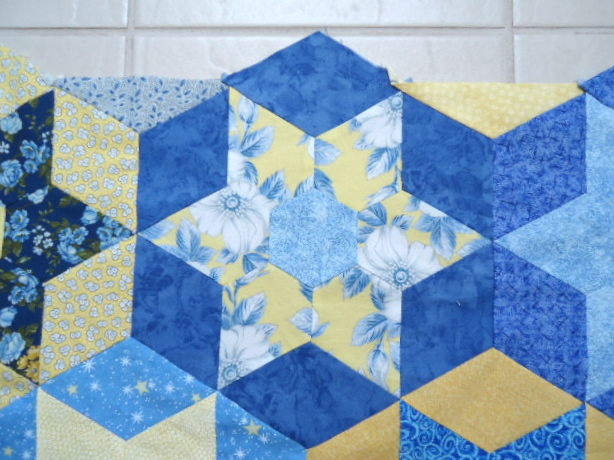 After basting one triangle pair, I realized this was just going to make a mess of the edge pressing. Hurrah! Using the fabric you wanted and adjusting the plan to fit the reality while you worked – that’s my idea of a dream project. Great solution-love the look. I am like you-cut them all out, then try them to see how it works…. Seems to me plan B refocuses the eye on the stars instead of the secondary hexagons. Brilliant! I have done they same thing, cut it all then see if it works. Your fix looks great and you didn’t waste fabric! A plus on both sides! So glad it came out so beautifully. Your quilting process seems like a metaphor for living–being there, paying attention, struggling with problems, finding solutions, moving on. 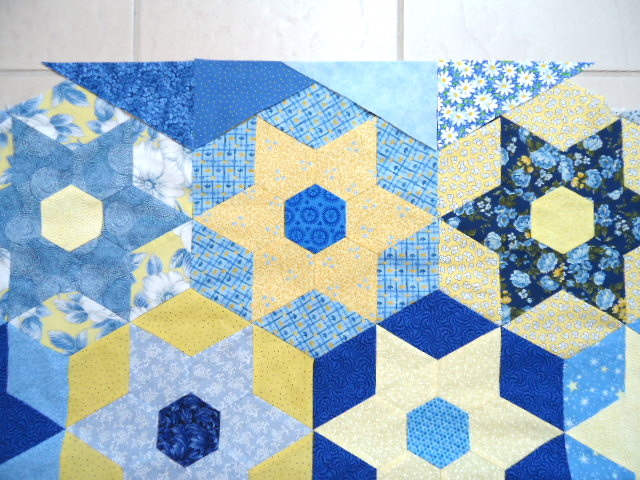 I love these colors together–sunshine meets water!